A somber display at the Aurora Salvation Army. The community reaches out with words of comfort. Our Hearts go out to the families of those lost in the Henry Pratt shooting. And also to the wounded officers who protect us everyday. Marlin Reishus and his wife have moved to Sunrise assisted living. We wish them well as they adjust to their new surroundings. Kim Spayer's husband Steven is dealing with health issues. Jim Bergeron lost his mother, Kathy Bergeron, last week. Visitation information can be found on the FriedriechJones website HERE . We send our condolences to the Bergeron family. John Gallagher introduced Nancy Limberg-Meyer, retired marketing manager, Ecolab. He had to mention that she was a fellow Green Bay fan :). 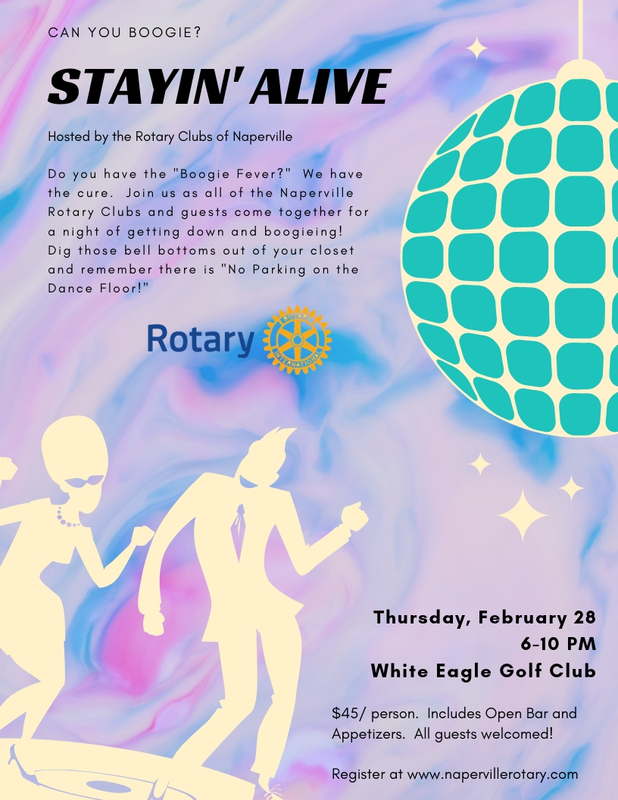 It's gonna be a fun evening of dancing and jivin'. or experience movin' and groovin' for the first time! Come and learn the "Brooklyn Hustle". It's Saturday Night Fever on a Thursday. If you're needing some groovy duds, Kathryn Hoffman has found a costume shop in Aurora with all the fringe, sparkle and gold chains you could ask for! Please welcome our newest member, Linda Linford! Most of Linda Linfords' career has been in the fitness industry and Non Profits. 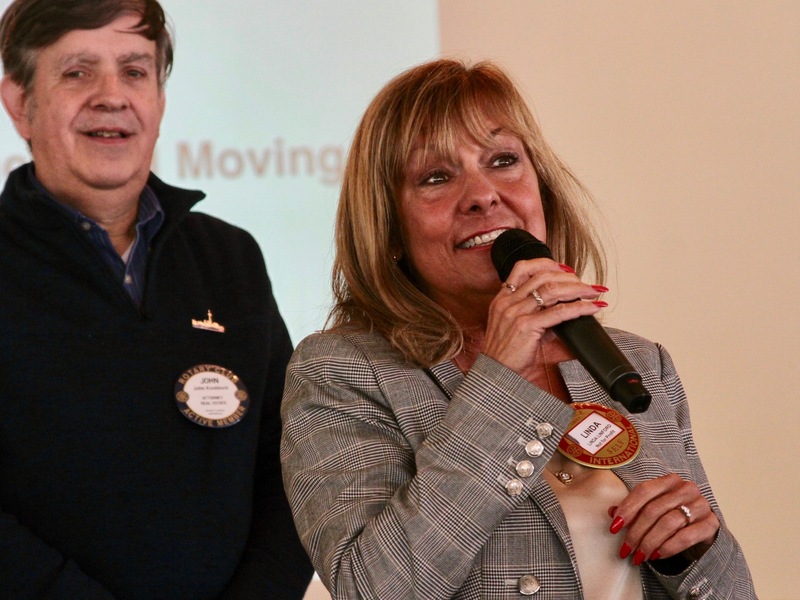 Linda was the CEO of the Naperville Area Humane Society for many years and recently retired as Executive Director of the DuPage Care Center Foundation. Linda holds a BFA at the University of Illinois Theatre Arts. Early on, she dabbled in acting and singing. Linda lives in Warrenville, where she served as an alderman. She has two adult children and three grandchildren. Congratulations Abul Abdullah on earning your Blue Badge! Membership Chair, John Gallagher and President Randy Ems congratulate our newest Blue Badge Member, Abul Abdullah. 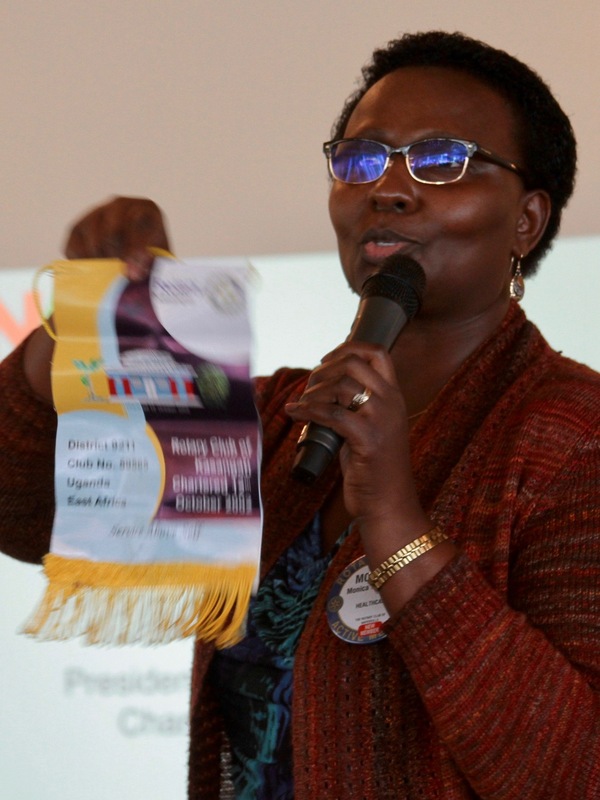 Monica Katsigazi recently traveled to Uganda and visited Rotary Club of Kasangati. She returned with a banner and presented it to President Randy Ems. Thank you to Alma Jones and Rachel Ossyra for delivering our notes of comfort. Cards were available at this week's meeting for members to express their sympathy to the families of victims of the recent tragedy at the Henry Pratt plant. Words of comfort and get well wishes could be expressed to police officers injured during the confrontation as well. 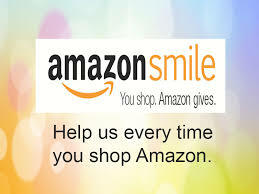 The recent tragedy in Aurora has left many of us feeling as though we want to help the murdered victim’s families as well as the injured police officers - however we can. The cards were a small token of the shared grief we all feel in the face of this senseless tragedy. We gather together to try to find some relief in our collective sorrow and let those most affected know that they are in our thoughts and prayers. 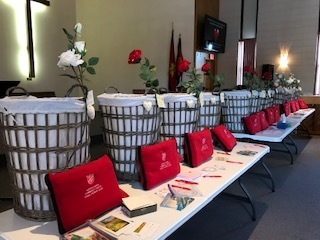 The Salvation Army Aurora office, Captain Rich Forney, organized a row of baskets in their Aurora office for each of the Police Officers recovering and for each of the victims families. 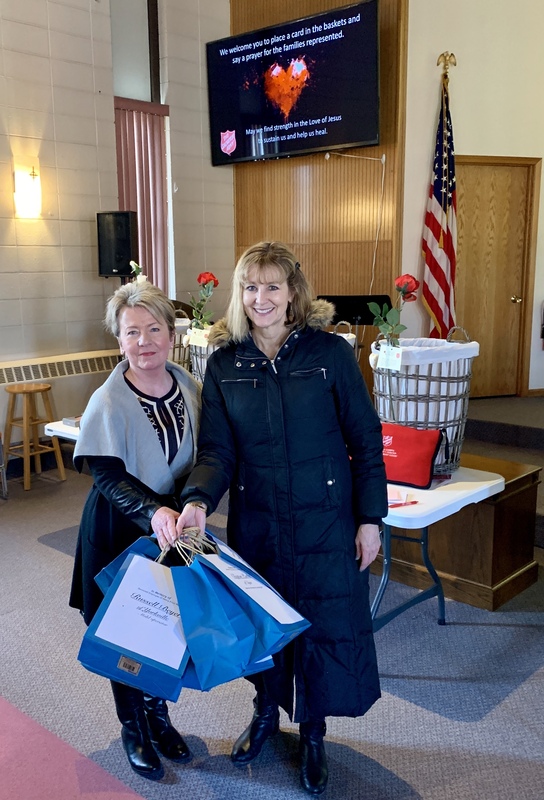 Anyone is invited to place an expression of concern, warmth, encouragement and caring into the baskets, which will then be delivered by The Salvation Army to the recipients. Colin Dalough announced the winning team of the Membership Superbowl. Kim Spayer's CRUSHERS took the win. Nina Menis and Prakash Tata were named MVPs. Enjoy that delicious steak dinner! But with a total of 45 guests, the club was the obvious winner! Thank you to everyone who invited colleagues, and friends to meetings. Rotary makes high-quality health care available to vulnerable mothers and children so they can live longer and grow stronger. It expands access to quality care, so mothers and children everywhere can have the same opportunities for a healthy future. An estimated 5.9 million children under the age of five die each year because of malnutrition, inadequate health care and poor sanitation – all of which can be prevented. In Haiti where maternal and infant mortality is the highest in the world, Rotary provided a fully equipped medical Jeep for midwives and volunteers to reach mothers and children in remote areas. In Chennai, India, Rotarians provided a mobile cancer screening unit and awareness training where there is a high mortality rate of women with breast and cervical cancer due to late diagnosis. 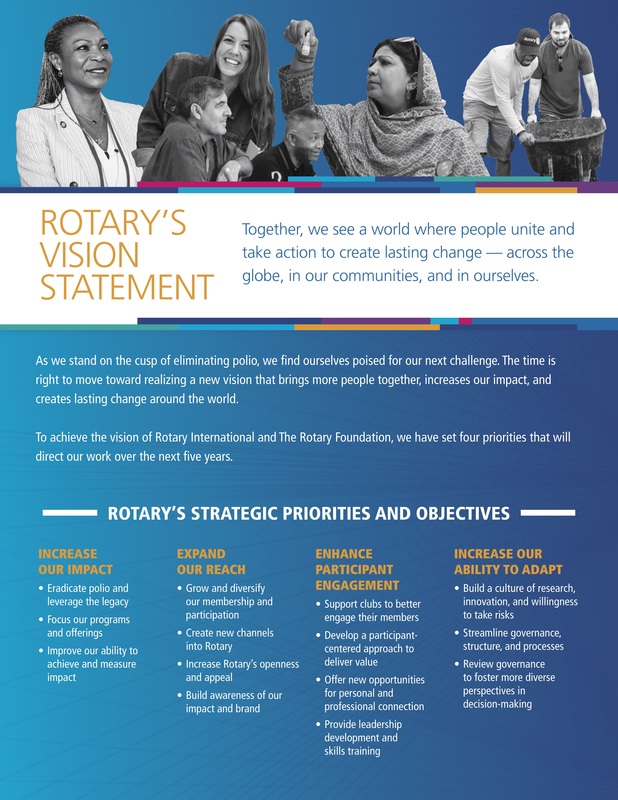 And in Nigeria, Rotarians launched a three million dollar, five-year pilot program to save lives of mothers and children during home deliveries, and since 2005 they have repaired 1,500 obstetric fistulas restoring dignity and hope to vulnerable mothers. 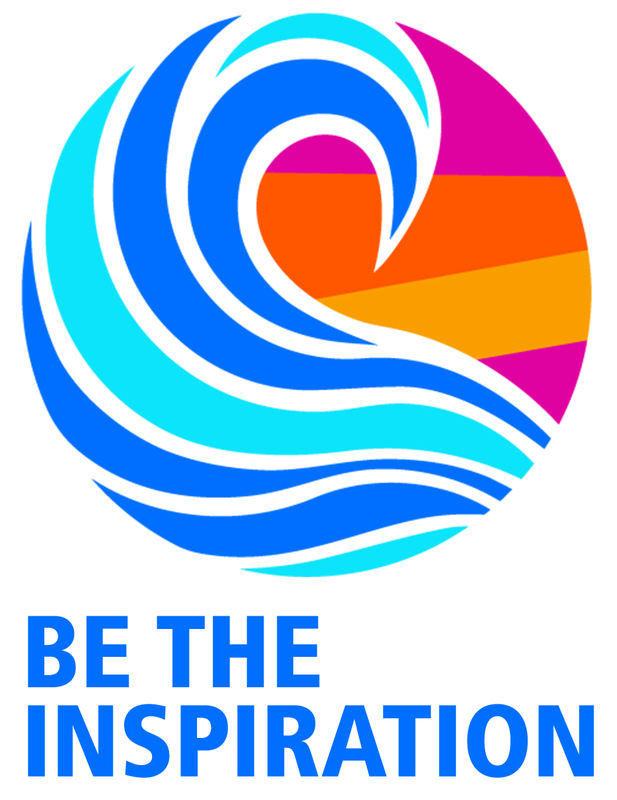 Your contribution to TRF enables this to happen – Thank you. 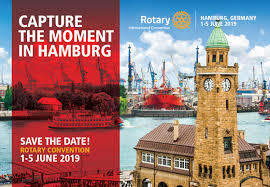 The Foundation Committee is starting to plan the Paul Harris Community Awards selection process and the luncheon meeting/gala planned for Thursday May 9, 2019. Start thinking about possible nominees. This year's conference is titled "International Service as a Catalyst for Peace". The scholarship applications for 2019 have been posted to the website. Please share the information with interested seniors. Do you have a Facebook page? Are you on LinkedIn? 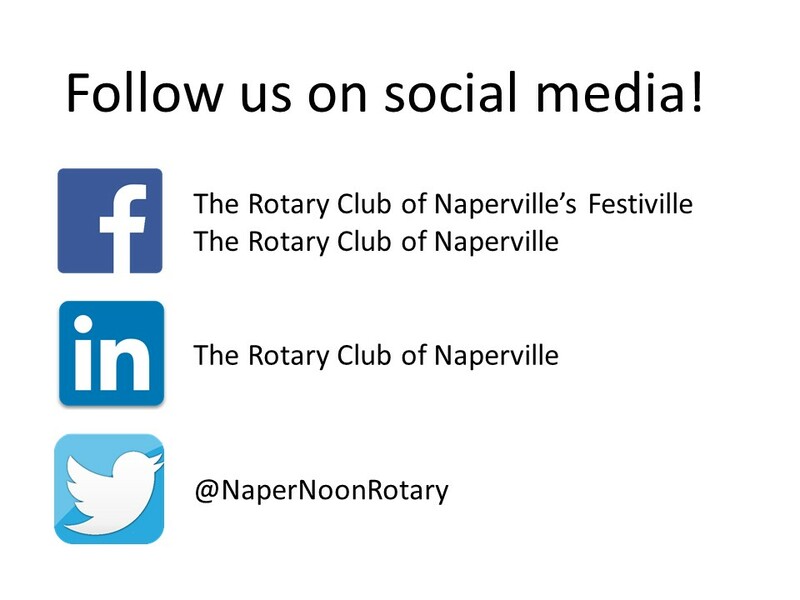 What better way to let people know you are proud to be a member of Rotary Club of Naperville! 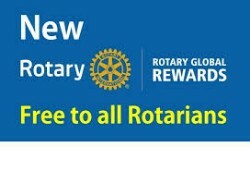 or give a shout out to a committee's work or an organization the club recently supported. 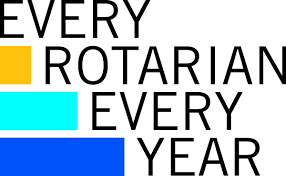 Be a proud Rotarian and let your friends and colleagues know what your club is doing through your digital networks. 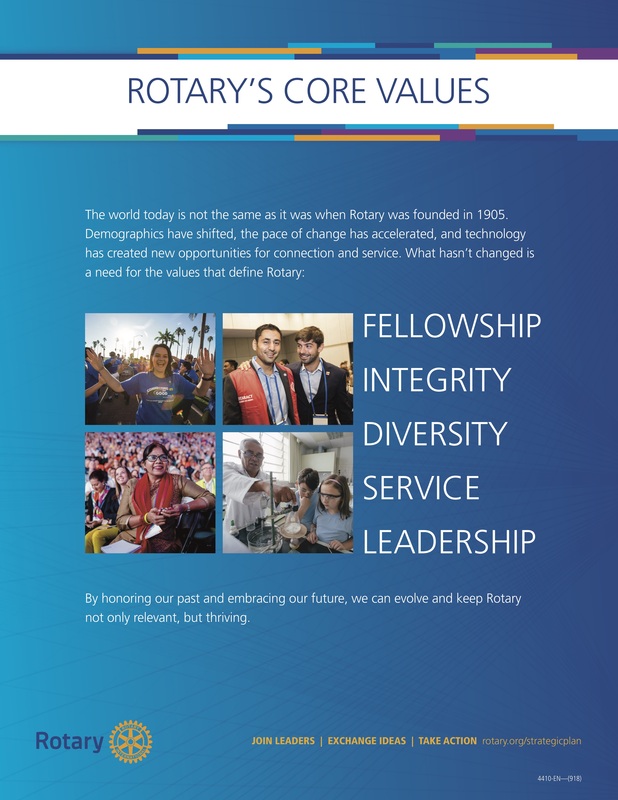 It's the first step in starting a conversation about Rotary. Steve had the fines flying left and right. I thought the power was going to his head, when he paid someone else's fine. Nice guys always finish strong. Thank you Steve for filling in. Colin Dalough shared news of his upcoming ski trip to Traverse City with his brothers. Enjoy...please, wear a helmet! 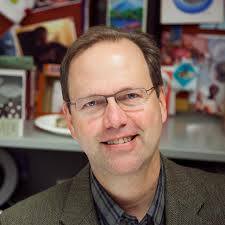 Dr. DeWitt will speak about the adverse impacts and victimization of Social Media on adolescents and vulnerable populations. Her journey in researching Social Media engagement and behaviors includes her own experiences of bullying and intimidation. Nicki Anderson joined the Naperville Area Chamber of Commerce as President & CEO after having previously owned Reality Fitness Inc. Anderson built her success from the ground up, accumulating several individual and organizational awards including the Naperville Area Chambers Small Business of the Year Award for Service in 2001. Anderson began her career as a freelance writer with a focus on business management and customer service. She has also authored several books focused on marketing, customer service, and retention. 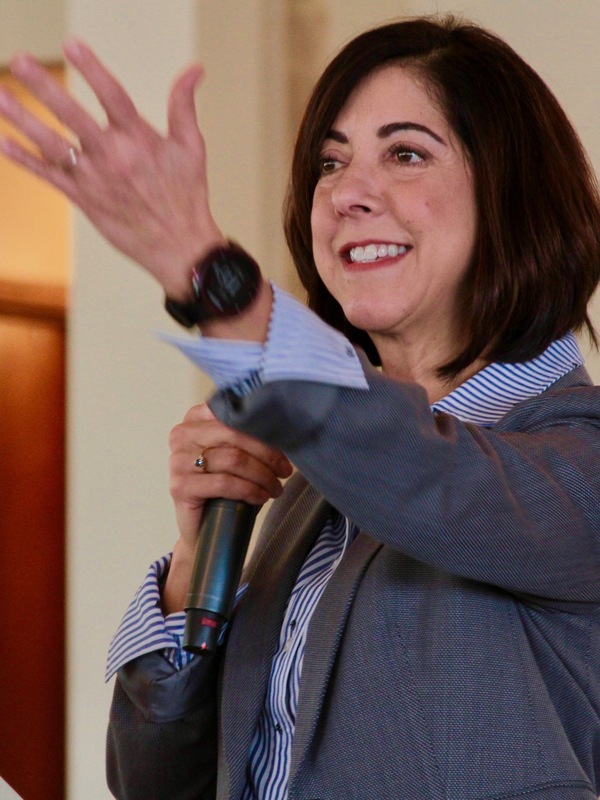 In addition, she has several DVDs catered to business professionals of all industries covering such topics as customer service, marketing, branding, and how to start a business. Anderson has been recognized with several community, leadership, and business awards. She was the 2004 recipient of the Influential Women in Business Award from the Chicago Business Ledger and the National Association of Women Business Owners and received the Women of Distinction Award from the DuPage County Area Business Ledger in 2001. In 2000, she was given the Success Under 40 Business Achievement Award for Entrepreneurs Under 40 by the Young Entrepreneurs Association. As a lifelong Naperville resident, Anderson has been deeply involved in the community. She co-founded the Families Helping Families Annual Walk, to provide housing for homeless women and children. She has also served on several boards including Samaritan Interfaith, the Naperville Area Chamber of Commerce, and 360 Youth Services. Since 1913, the Naperville Area Chamber of Commerce has been working to further the interests and opportunities for local businesses. In an effort to promote a pro-business environment, the Chamber works tirelessly to influence national, state and local legislation which directly impacts our business community. The Chamber is committed to preserving a strong business climate. 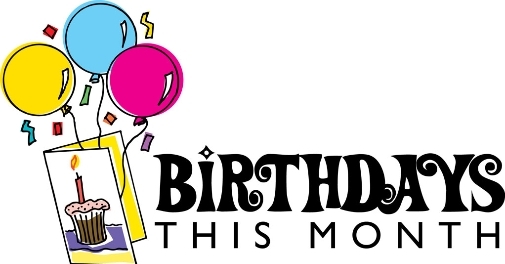 Special events, unique networking opportunities, professional development and legislative advocacy. Members are a diverse group, including small start-up businesses to international corporations. Some of the challenges facing the NACC is attracting young professionals and meeting their needs. 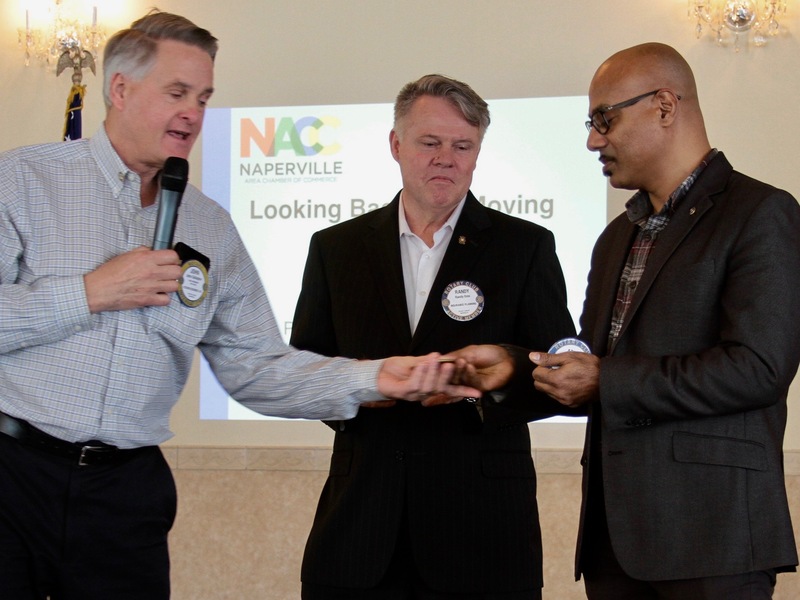 The NACC has rebranded itself and is making a $250K infrastructure investment to remain as an integral part of Naperville business community. see you at the DISCO PARTY! Be Here Pot - Ed Chapman asked Mary Lynn Hoffer to draw a name...Brand Bobosky was a winner! Congratulations Brand!